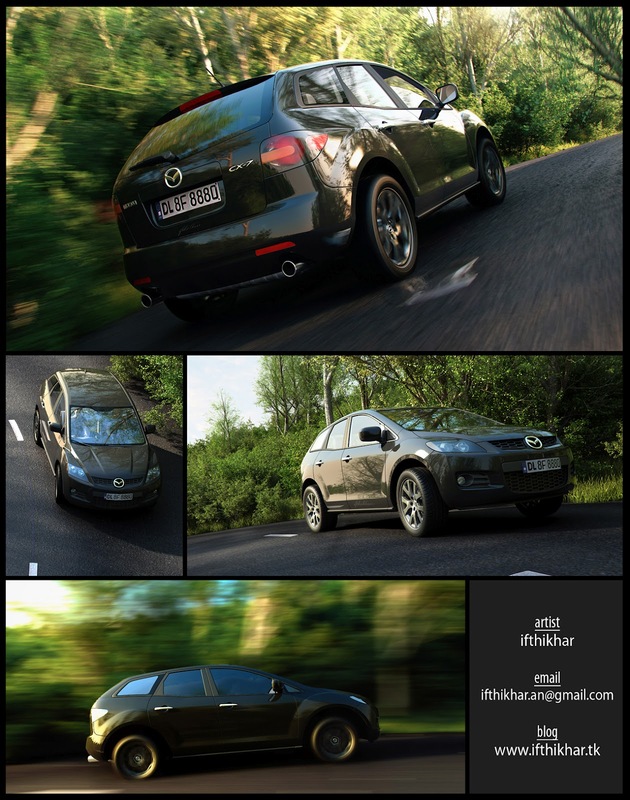 For the first and last view, I tried the camera panning effect – which I used in automobile photography. 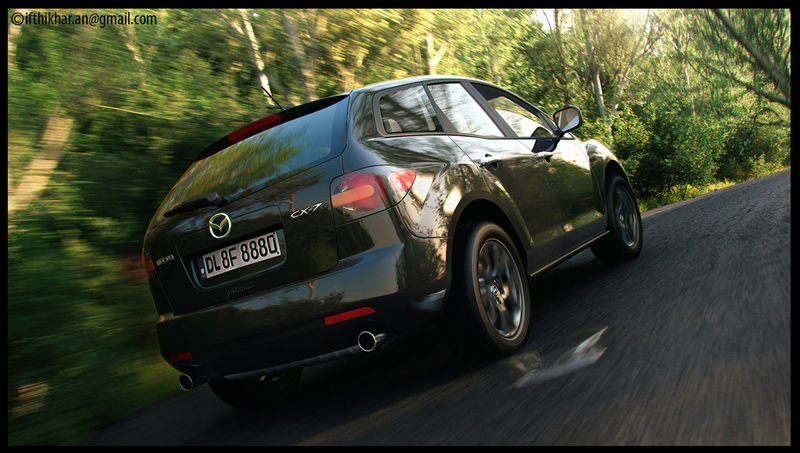 For achieving this, I animated the car and camera along, and gave a low shutter speed to vray physical cam. Here is a desktop wallpaper for you! the first 3 images looking great,but last image with camera panning is looking good at all.i suggest you to keep this 3 images only.Last image blur is not working out ,it is looking fake.